Sony's freshly outed PS4 will come with many a'title when it launches this year, but two in particular are grabbing gamers' imaginations. The company got a coup when it was announced during its E3 2013 press conference that Final Fantasy XV not just as a PlayStation 4 exclusive but as one for bound for the older PS3, which wasn't neglected on the game front in the slightest. The company will also play host to Kingdom Hearts 3, though there was no mention of it as an exclusive to Sony's systems. Fans of the title will note the last in the Kingdom Hearts numeric came out in 2006. 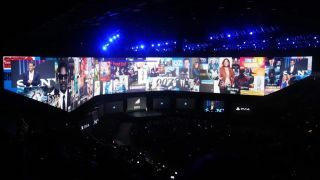 Gamers who've followed the Final Fantasy franchise may have wondered what happened to Final Fantasy Versus XIII, but may take comfort in the fact the title that appeared first at E3 2006 is finding new life at E3 2013. Of course FFXV and Kingdom Hearts 3, currently in development at Sony, weren't the only games to get some E3 attention. Even more intriguing than the titles, which include games like The Order 1886, Diablo III and Mad Max may be the fact that PS3 games will now be playable on the older console, the PS4 and PS Vita, all thanks to Gaikai. Now this isn't all titles all the time as initially Gaikai will only stream a select few, and it's only bound for the U.S. to start. The Vita, while it did receive some stage time, new bundles and new titles like Batman: Arkham Origins and Destiny of Spirits, won't get the service to begin with either.